I have a tendency to clutter, so when I was thinking of how to decorate my mantle for Christmas, simplicity came to mind. 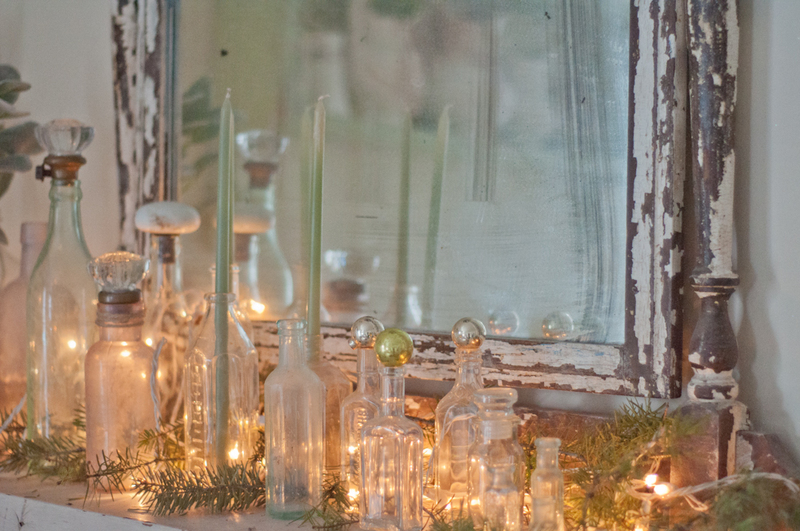 I cleared the mantle of all my pitchers and candles, and pulled out all of my vintage bottles. Old bottles that are hazy and spotted from age look amazing with white lights behind them. I tend to like asymmetrical displays, so I lined the bottles up from one side of the mantle large to small. I balanced it out with the snowflake sign and the two stockings. 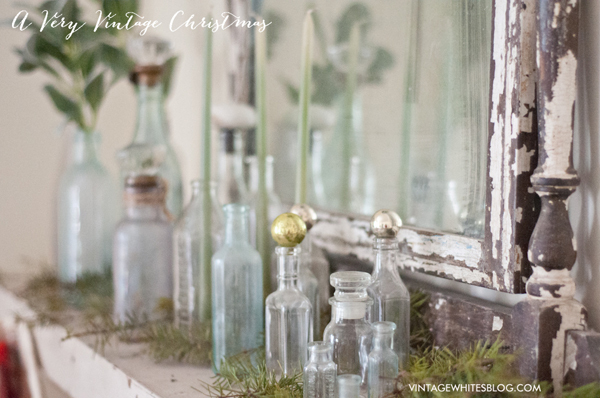 I cut some boughs and scattered them throughout the bottles. 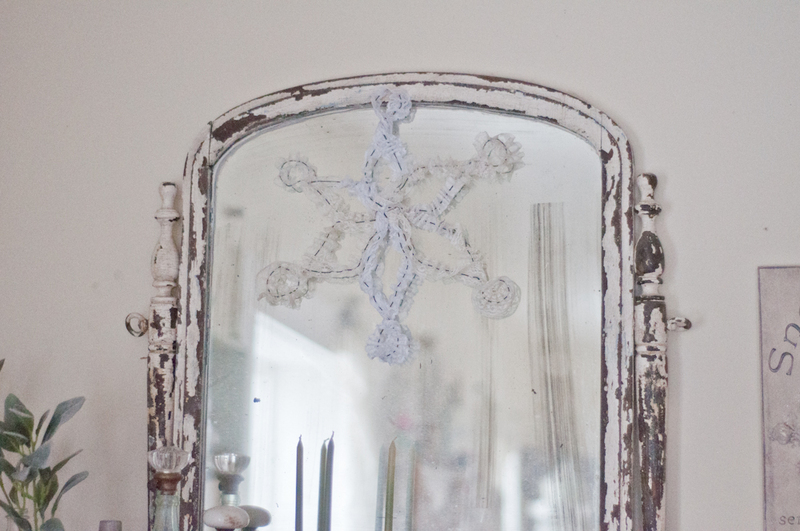 I made the snowflake hanging on the mirror from a long piece of wire and pieces of vintage lace. 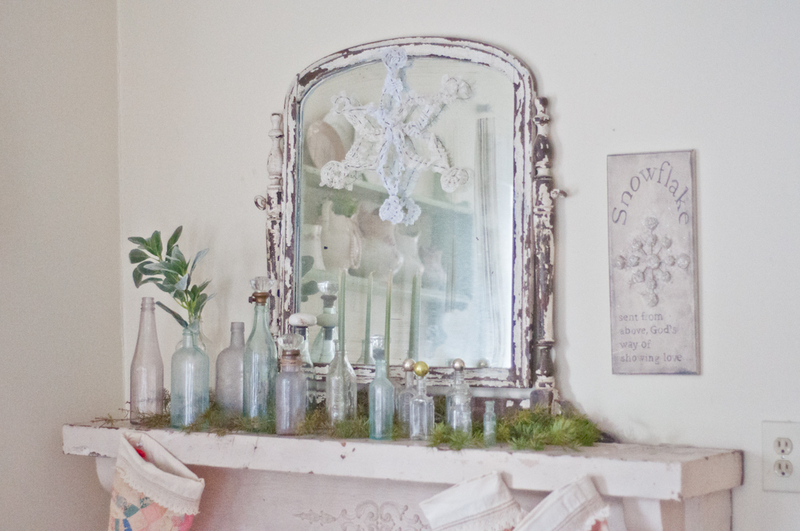 I LOVE lace, and I LOVE snowflakes, so a giant snowflake made from vintage lace is a dream come true! The quilted stockings were made by my Grandmother when my mother was young. This is the first year that I've had them to myself to put up. I LOVE them! 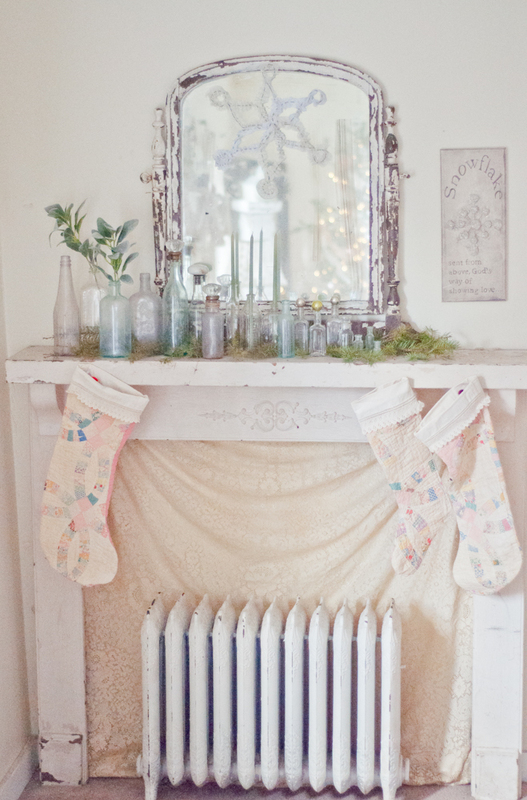 Especially since the quilt they were made with is vintage as WELL as the stockings themselves! They are a family heirloom. 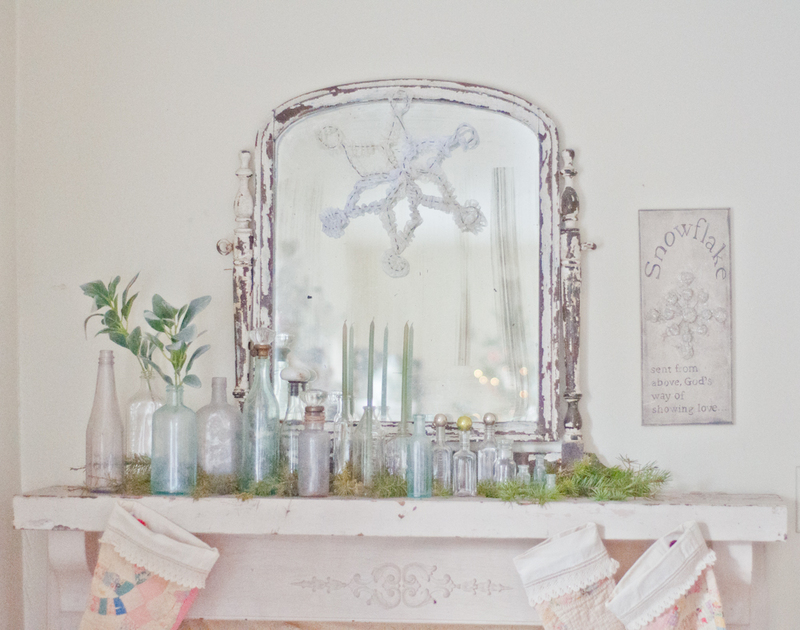 Do you have any heirlooms that have been passed down from your family? We would love to see pictures or hear about them in the comments. We hope you're having a wonderful Christmas season! I have a number of the antique sterling silver ornaments made in various shapes, some with bulbs in the center...I don't have any with the die cuts like I've seen. The silver turned black long ago and is impossible to clean due to the "shredded" texture. I don't know how to post the pictures to show you. They were my great Aunt Nellie's. I love them. Those sound beautiful, Nancy. Yeah, I wish I could see them. It sounds like an amazing collection!